David Le/Gloucester Daily Times. 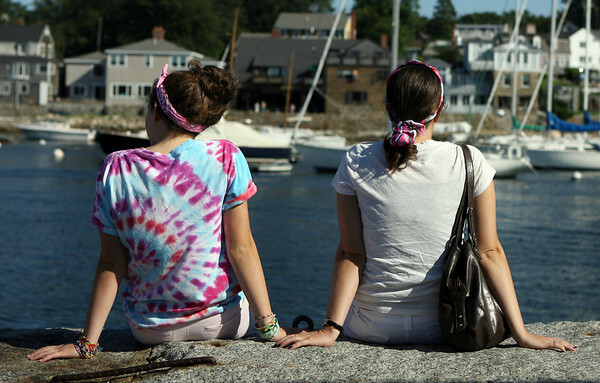 Olivia Sargent, 15, left, and her sister Erin, right, of Tyngsborough, sit along an ocean wall at Bearskin Neck enjoying the view of Rockport Harbor on Wednesday afternoon. 8/17/11.